Your internet browser stores information from webpages you visit on your computer, so they can load quickly when you return to view them. Sometimes you need to clear this cache to allow new content to load for certain websites. 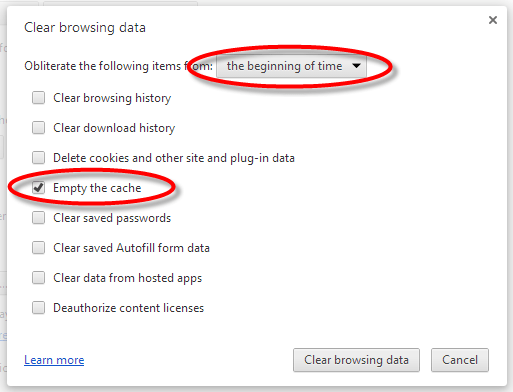 Here are directions with screenshots on how to clear the cache for your browser. 2. Make sure “Details” is expanded – click the ^ if it’s not. 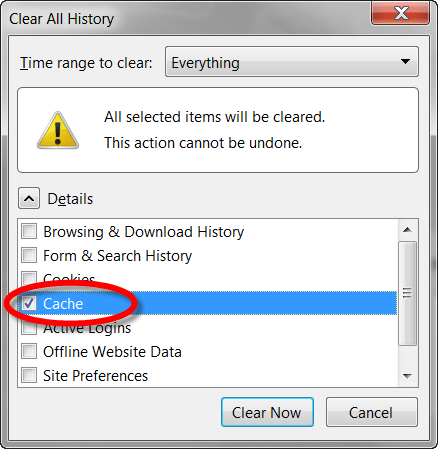 Then select “Cache” from the list. Uncheck everything else. 1. 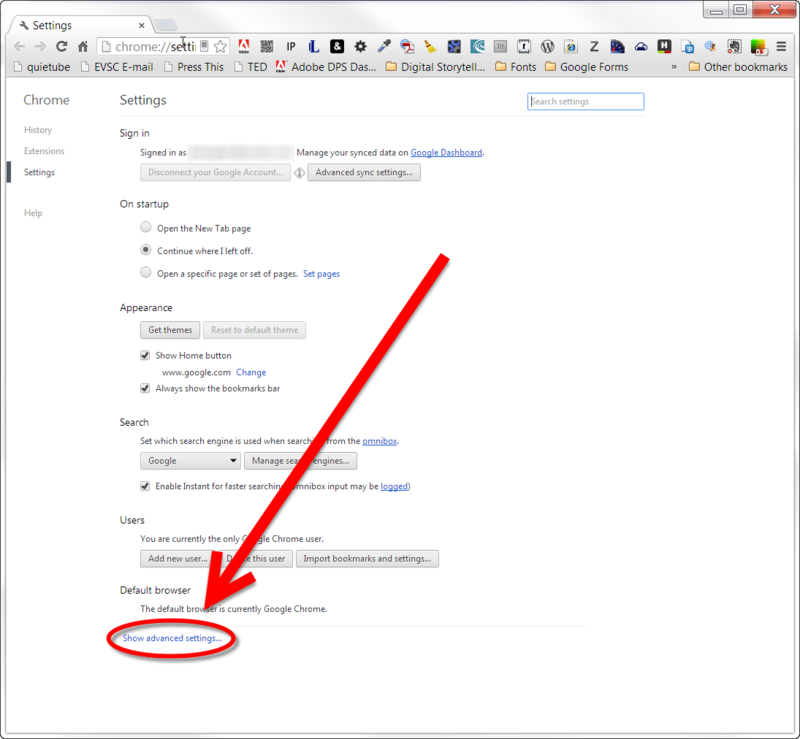 Open the settings in Chrome. Click the menu icon in the upper right corner of the browser (looks like three lines parallel lines). Click “Settings” at the bottom of the menu. 2. 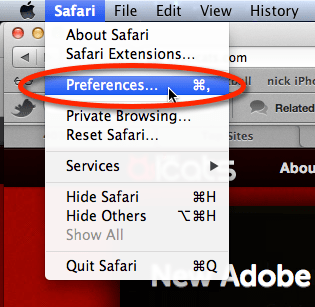 From settings, click the “Show advanced settings…” You may need to scroll down to the bottom of the page. 3. 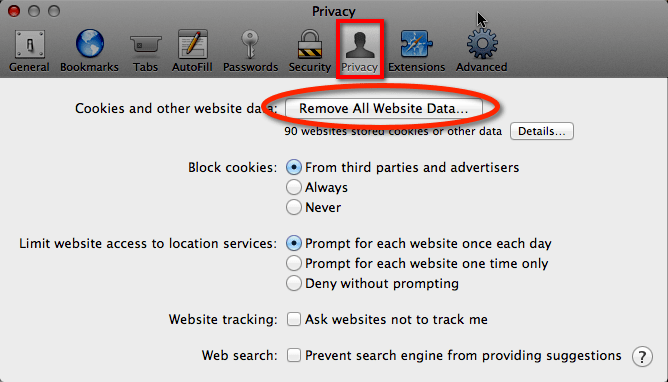 From the Privacy section, click the “Clear browsing data…” button. 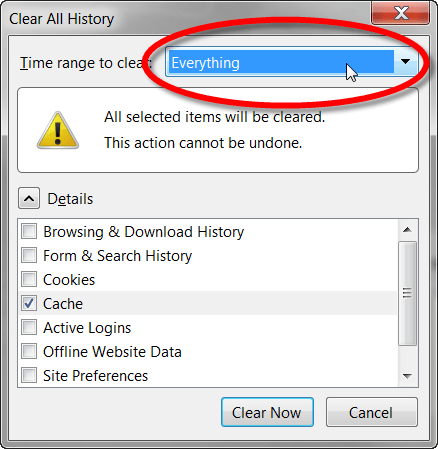 Uncheck all other options to avoid deleting browser history, cookies, saved passwords and anything else you may not wish to delete. Make sure the “Obliterate the following items from” to “the beginning of time.” If you’re having issues with a website, this will ensure that you get all the cache emptied and will force your browser to load the website as if it was visiting it for the first time. 5. 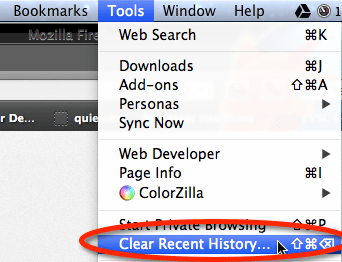 Press “Clear browsing data.” That’s it! 2. 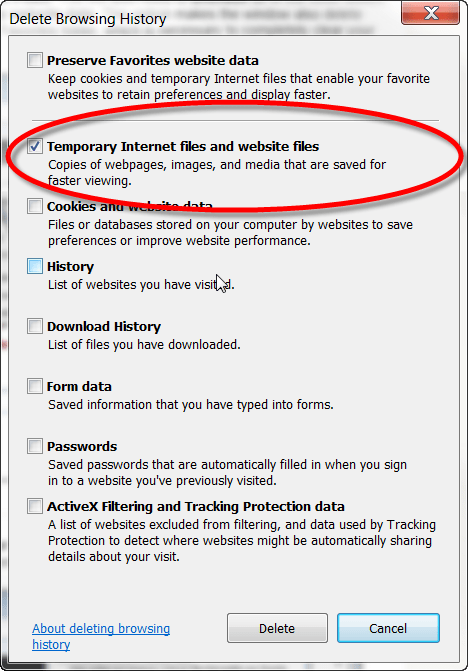 Select “Temporary Internet Files.” You will also need to uncheck all of the other boxes. Also, uncheck the box for Preserve Favorites website data. This option has to be unchecked to completely clear out the cache. 4. 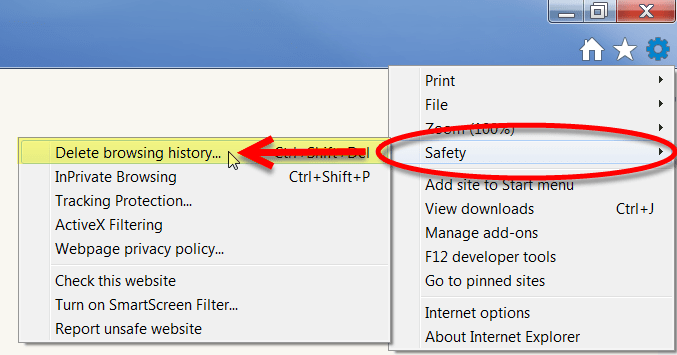 Your computer might display a box showing it deleting your browser history. 5. At the bottom of your screen, you will be greeted with a message stating you have cleared your cache. Click the X to close. Previous articleWant to Play a Photostory .wmv on a Mac?